Humans experience more limitations than do chimpanzees when it comes to forceful biting, according to a new study from the Texas A&M College of Dentistry. 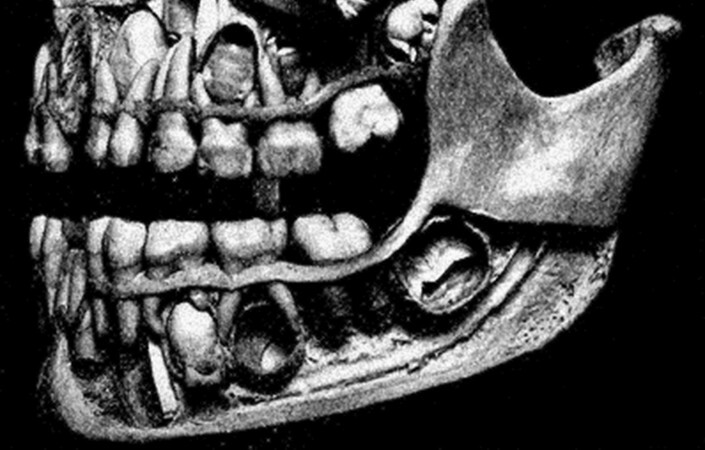 While humans have the ability to pack an efficient bite, the study finds, the limitations of the human jaw pose a serious risk of dislocation and damage. The conclusions were published in the science journal PeerJ by Paul Dechow, professor and chair of biomedical sciences, and Qian Wang, associate professor. The researchers conducted biomechanical tests on computer-based models of human crania. They applied 3-D finite element modeling to analyze the strain of bite forces during feeding simulations and then compared that with the strain found in chimpanzees. The findings mirror a centuries-long development: the shortening of our facial skeleton, including the mandible. The result is higher levels of distractive force on the non-biting side of the temporomandibular joint, which makes human bite force less efficient than modern-day chimps. The study strengthens the hypothesis that the softer and more processed diet of humans could have something to do with our small and graceful faces.